Nonprofits operate under accounting standards governed by the Financial Accounting Standards Board (FASB). There are several new standards effective for fiscal years starting after December 2017. This article focuses on the new guidance found in FASB Accounting Standards published in the Update 2016-14 (Topic 958), Presentation of Financial Statements of Not-For-Profit Entities. See also: Accounting Standards Update 2018-08—Not-for-Profit Entities (Topic 958): Clarifying the Scope and Accounting Guidance for Contributions Received and Contributions Made. To help us understand three significant changes contained in these new standards, we asked Curt Klotz, the VP of Finance and the Chief Financial Officer at Propel Nonprofits, in Minnesota, to provide an overview of the new accounting standards and share some practical examples of how the new standards will show up on nonprofit financial statements. Curt’s overview focuses on: (1) restricted and unrestricted net assets; (2) liquidity disclosures; and (3) functional expenses. We have also included a list of resources about the new FASB standards and related topics at the end of this overview. Which nonprofits need to pay attention to these new FASB standards and why? 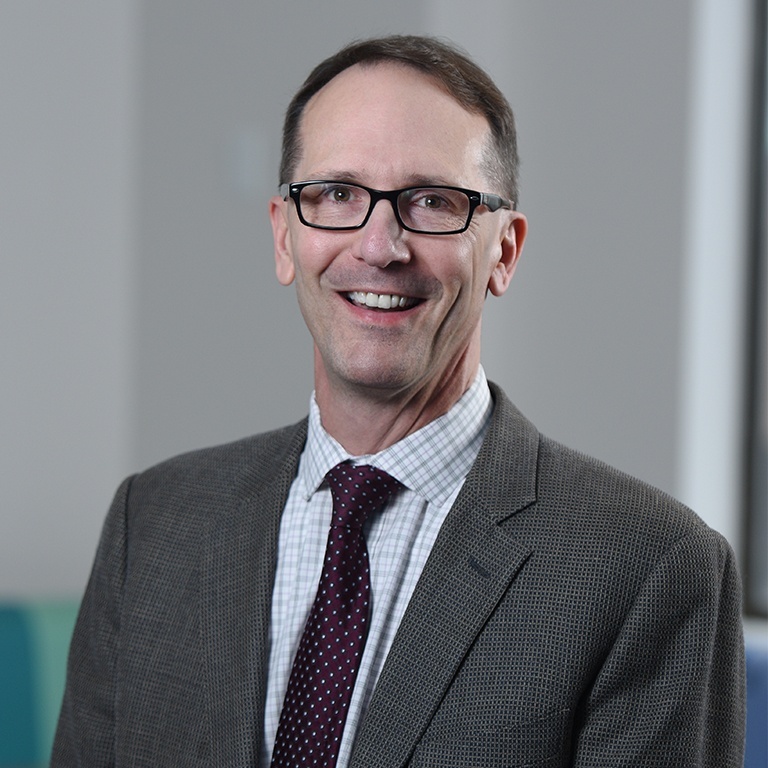 Curt Klotz, VP of Finance and Chief Financial Officer at Propel Nonprofits: All of what I’m about to describe about the new FASB standards for the reporting of nonprofit financial statements applies to the presentation of nonprofit audits. Whether a nonprofit is required to have an independent audit or even certified financial statements prepared each year depends on many factors. Each state has its own regulations that set dollar thresholds for when a nonprofit must be audited. (See the National Council of Nonprofits’ Nonprofit Audit Guide for more information and links to states’ requirements.) Some funding sources, such as a private foundation, or even a local, state, or the federal government, may require nonprofits to submit an audit. The changes described here apply to audited financials, but they can be useful to other nonprofits as well – certainly for those nonprofits that may be approaching the need for an audit in the near future. We hope nonprofits will use their financial statements (audited or not) to help tell their mission and program stories. Well-presented financials simply reflect a nonprofit’s mission in another language. So nonprofit staff need to learn the new standards well enough to be able to implement them in a way that tells their nonprofit’s story effectively. How do the new accounting standards help a nonprofit tell its story about funding that is restricted for some specific use? The new FASB standards changed the terminology we use to describe “restricted” contributions. Going forward there are two categories: assets “without donor restriction” and assets “with donor restriction.” As we know, the ability for donors to place restrictions on the purposes - or on the time period - their donation can be used, is what makes nonprofit accounting unique – and complicated. For example, if your organization operates three programs and a foundation gives it a grant of $50,000 for program A, your organization has to set up accounting systems that are sophisticated enough to show that it spent $50,000 on program A. Likewise, if a donor gives your organization a gift specifically intended for a use that will be carried out at a future time, say in your next fiscal year, then your organization’s accounting system needs to be able to show that the organization did not spend that money until the proper time period. The process for moving funds from the “with donor restriction” category to the “without donor restriction” category is referred to as “releasing (funds) from restriction.” You will often see a line item called “Revenue Released from Restriction” or “Net Assets Released from Restriction.” This means money that came in with a donor restriction has now either been used for the purpose the donor intended or within the time period designated. No matter what kind of restriction a donor might impose, FASB standards require nonprofits to report finances in a way that makes it clear which funds have donor restrictions and which funds come without donor restrictions. Before these new FASB standards, there were three categories: “unrestricted,” “temporarily restricted,” and “permanently restricted.” The new terminology moves us from three categories to two categories when displaying financial statements. What will we see now on a nonprofit’s financial statements in connection with restrictions? The new terminology asks us to list those revenues, funds, or net assets that do not have donor restrictions as “without donor restrictions,” and those that are restricted as “with donor restrictions.” A nonprofit can show these categories on its financial statements by having separate columns for “without donor restrictions” and “with donor restrictions.” Or a nonprofit can make a distinction between the two by showing separate line items in the revenue section of the Statement of Activities (the statement that shows a nonprofit’s revenue and expenses) or in the net asset section of the Statement of Financial Position (the statement that shows a nonprofit’s assets, liabilities, and net assets – also called a “balance sheet”). In my experience, using columns is a lot clearer and more useful for seeing what kind of activity and resources an organization has at its disposal. I recommend columns over line items. And even though we can combine all the funds “with donor restrictions” into the same column - or onto the same line item - on the financial statements, we still have to disclose a detailed breakout of the different kinds of restrictions in the notes to our audited financial statements. Our accounting life doesn’t get any easier with the new standards. The change is primarily intended to benefit the readers and users of the nonprofit’s financial statements. What about contributions that a donor may intend to restrict into perpetuity? Nonprofits need to be aware that the move from three categories to two categories does not allow us to stop tracking those funds that a nonprofit receives from donors who ask us to hold their gift in perpetuity. The nonprofit still has to keep track of its endowment or scholarship funds separately from those funds that are restricted in other ways. What are practical ways nonprofits document donor restrictions? How are board designated assets handled on financial statements under the new standards? How are nonprofits required to disclose information about their cash flow/liquidity in their financial statements? The concept of liquidity is very important for nonprofits to understand. It is sometimes a shock for an organization showing a positive bottom line to find out it doesn’t have enough cash in the bank to make payroll. There is a big difference between when the nonprofit has to report it “accrues” revenue and expenses, from when those revenues and expenses actually hit the nonprofit’s bank account. For example, when a nonprofit receives the always wonderful letter from a foundation awarding a $25,000 grant, it is proper accounting practice to book that amount as grant revenue on the date the letter is received even though the nonprofit may not receive the money for a week or so (or longer). The grant is booked as a “receivable,” meaning the nonprofit hasn’t received the cash yet, but it still goes on the Statement of Activities as grant “revenue.” But since the nonprofit hasn’t received the actual check or wire for the amount yet, it doesn’t have that cash in the bank available to pay its bills. If the nonprofit doesn’t have any other reserves in the bank or extra money from some other activity, then the nonprofit might still be in rough shape even though a financial report shows that the nonprofit just received a $25,000 grant! This is why tracking and disclosing liquidity is so important. Liquidity refers to those financial resources available for use in the near future. The FASB standards ask nonprofits to both list the quantitative measures of their liquidity (financial resources available for use within the next year) and the qualitative measures (how the nonprofit manages and monitors its liquidity). So, to satisfy the new FASB standards, nonprofits need to disclose what resources they have on hand that could be used to cover expenses and other obligations within the next year. The nonprofit should also disclose how it defines what resources it can use and how it monitors the state of those resources. The list of available resources includes the obvious, like cash (that is, cash without donor restrictions) and certificates of deposit that will be paying out within the next year. Other available resources might include receivables like grants or client fee payments likely to be collected within the next twelve months. The grant of $25,000 that I used as an example might be considered available resources if the actual check or wire is expected to be paid to us within the year. One less obvious available resource might be a line of credit your organization draws funds from in the form of a short-term loan if cash gets too low. Another source of available funds might be those grant funds with donor restrictions that you anticipate will be released from restriction within the year. While currently restricted by the donor, if you know your nonprofit will be doing the project or program within the next twelve months, then you should include that amount of project funding as available for use within the same period. If you are reasonably certain that the donor restriction will be satisfied, then you can make a case that the money should be considered available. Deciding on a liquidity measure that fits your nonprofit is an important step towards financial health. Even though FASB requires that the liquidity disclosure show what is available within the next twelve months, it might make more sense for your organization to pay attention to the next 90 days. It all depends on the normal cycle of your receivables. By this, I mean the regular pattern of when you receive payments. For example, if your organization receives a large portion of its revenue from a government agency that takes 90 days an average to process reimbursement requests, then you might consider establishing liquidity measures based on a 90-day cycle. Sharing this in your financial statements will give the readers of your statements confidence in how stable your organization is and how well you can expect to meet immediate financial needs. Looking at liquidity is also a very important strategy for your organization’s leadership. Leadership is always better off knowing the truth about your financial condition well ahead of any potential problems. It is easier to survive tough times if board and staff members are expecting them and can take proactive steps to change course. How do the new standards impact the way a nonprofit will be describing its functional expenses on its financial statements or in the notes – and how do you see this helping people understand the true cost of a nonprofit’s operations? FASB’s new standard on functional expenses is really just a change in how much detail nonprofits must provide about their expenses. For those organizations that are required to conduct an independent audit, the requirement to break out organizational expenses into functional categories –program services, management and general (also called administration), and fundraising – are not new. The new standard requires nonprofits to break out their expenses not only by the three functional areas, but also by their “nature” (think of this as line items). “Nature” just means that we have to list what specific line items we spent the money on within each of the larger functional areas. For example, nonprofits are now required to break out expenses into line items like salaries and other personnel expenses, occupancy expenses like rent or mortgage interest, or travel expenses. Many nonprofits already do this every year when they file the full IRS Form 990, so requiring this level of detail is not necessarily anything new. However, the functional expense statement is one of the most often misunderstood and misused pieces of financial information that nonprofits are required to disclose. Many nonprofits are aware of the “overhead myth,” the belief that nonprofits with lower operating costs are more effective. Too often donors, investors, and the public have used the information on the functional expense statement of a nonprofit’s audit or Form 990 to judge whether a nonprofit is efficient or effective in its use of donated dollars to perform its charitable mission. The way this is often decided is to calculate what percentage administrative and fundraising expenses are of the total expenses of an organization. While seeking to know if a nonprofit is effective in carrying out its mission is a perfectly valid and worthy question, the functional expense ratio has not been shown to actually correlate to an organization’s mission or financial success. That’s why it’s now considered a myth. Yet, many people continue to believe the functional expense ratio is a relevant way to compare nonprofits. In fact, there is no proven relationship between the ratio and any of the mission effectiveness or financial efficiency that donors and the public have been led to believe. If we are being required to report a measure that neither accurately predicts nor reflects the mission or financial success of our organizations, we should at least find a way to make it useful. To that end, we recommend going one step further with the functional expense statement that is required by FASB. Without causing your auditors any upset, you can add supplemental information to your audit. This is usually in the form of extra financial statements or reports or note disclosures that come at the end of the audited financials. Instead of showing the nonprofit’s program services lumped into one column next to a column for administrative expenses, and a column for fundraising, you could break out each of the specific programs into a separate column. This assumes your organization has more than one program area (and many do). Next, your organization could choose a reasonable method for allocating the administrative expenses and the fundraising expenses to each of the program areas you just broke into columns. Some common allocation methods are FTEs, percentage of direct expenses, or for the fundraising expenses you could use the percentage of contributed revenue in each program. Allocating administrative and fundraising expenses out to each of the program areas gets us to what we call the “True Program Costs” of each of these programs. This shows how much it really costs to provide the services or programs of your organization. 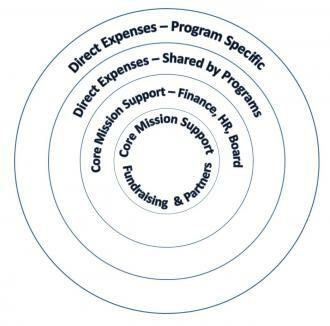 This is a much more appropriate, strategic, and useful way of looking at the functional expenses of a nonprofit. In the past year, Propel Nonprofits has taken this True Program Costs idea out to the world in a blog that I wrote called A Graphic Re-Visioning of Nonprofit Overhead. In the blog, I point out that the old way of looking at functional expenses left us with the unfortunate pie chart that shows a nonprofit’s administrative and fundraising costs as a slice out of the pie. Using this image can only lead to us thinking that administrative and fundraising costs are bad and need to be kept to a minimum. In my blog, I created a revolutionary new visual representation that puts the administrative and fundraising costs at the center of the nonprofit structure. Those expenses that used to be vilified as diminishing the whole pie are now considered Core Mission Support. Having good organizational infrastructure in the form of solid financial accounting, good board governance, innovative fundraising staff, and state of the art technology is seen as a boost to mission effectiveness and impact – not a drag on a nonprofit’s success. Are the new FASB standards a positive change? With all of these new FASB standards, it’s not so much whether I think the standard is positive or not. In fact, I’m neutral on the change in terminology for restricted contributions, I’m positive about the change in liquidity disclosure, and I’m negative about the increased focus on detail in the functional expense statement. What I most want is for nonprofits to know that their financial statements are their own. Even within the bounds of FASB standards, nonprofits should learn how to use their financial statements and the note disclosures that are part of them to tell their own particular mission story to good end. Many nonprofits don’t realize that their audited financial statements are supposed to be produced by the nonprofit staff, not the auditors. In practice, too often nonprofits are deferring to their auditors about how to display the numbers and how to write the notes.